After breakfast at the hotel, you depart via private Coach with the guide to start historical day at the Egyptian Museum of Antiquities. The Museum, open since 1902, exhibits over 120,000 objects in its 107 halls, comprising the world’s greatest collection of ancient Egyptian artifacts. Two grand halls containing countless artifacts and one room reserved for the golden treasures from the world-famous tombof the boy-king Tutankhamen After our visit to the Egyptian Museum. After that we are heading to Citadel of Saladin which was Built between 1176 and 1183 CE the Citadel of Saladin stands on the highest point in Cairo, Mokattam Hills, giving it a superb view over the city. Salah Al Din (Saladin) decided to build it here to protect Cairo from any invaders, being part of a wall that surrounded the city and the nearby city of Fustat. 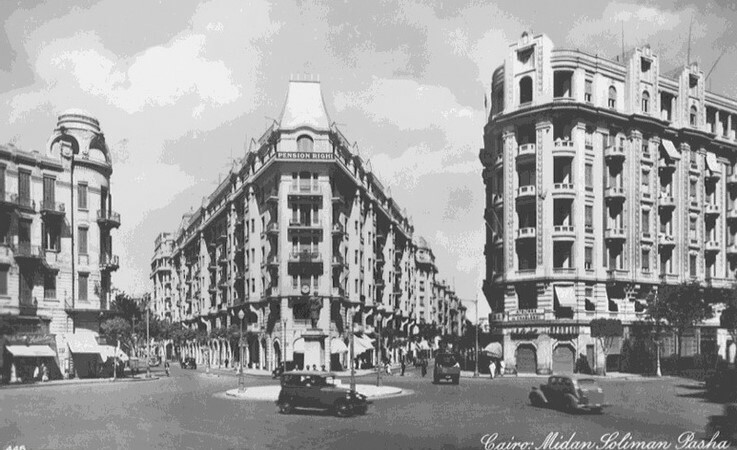 On the highest point in the citadel, and therefore the highest point in Cairo, stands the Mosque of Mohamed Ali. Built between 1828 and 1848 this mosque is one of the ‘must see’ sites in the Citadel, and in the whole of Cairo. Mohamed Ali built it in memory of his second son, Yusun Pasha, who had died in 1816. Its massive structure dominates the skyline and it, along with its twin minarets, can be seen from any direction. We meet Adham, who will be our guide in Cairo for the next few days He said his friends call him Idoo. We are now his friends. He has been a Cairo guide since 2004, speaks excellent English, and he is getting married in a few weeks. I feel I should warn him give him some guidance about what to expect from his imminent state of marital bliss, but have thus far resisted. Idoo is quite an interesting guy. 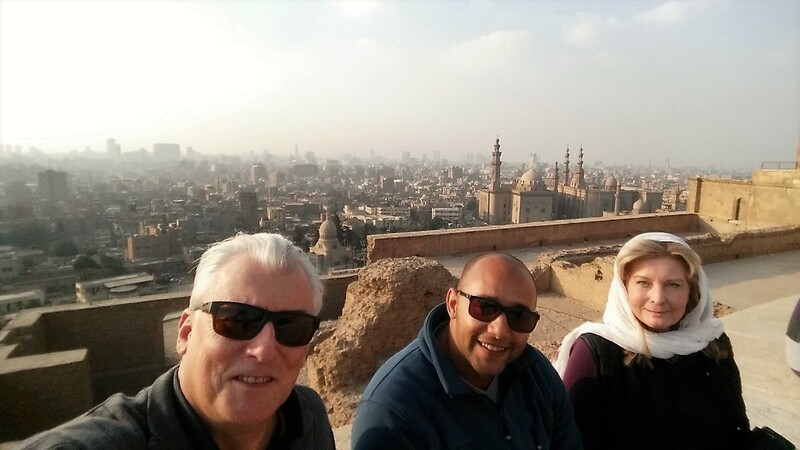 He tells us there are about 8,000 guides in Cairo. 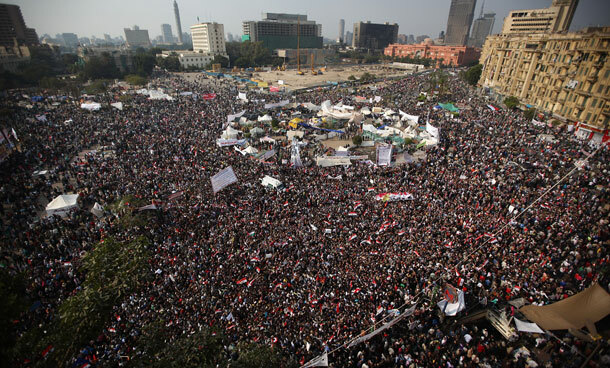 In 2011, he and many of his fellow guides worked shifts forming a human chain around the Egyptian Museum of Antiquities to protect it from looters during the Arab Spring Revolution. The usual drill for our first time in any major city is to simply hit the major tourist sites. No exception here, with our first stop the Egyptian Museum of Antiquities founded at the turn of the century and the Citadel of Saladin located at the highest point in Cairo. The two sites will serve to provide historical and geographic context for the rest of our visit. That was our hope. However, the phrase "embarrassment of riches" was never more applicable than when applied to the history and treasures to be found in Cairo generally and this Museum specifically. The huge display of antiquities on display at the museum represent less than a third of the treasures they own. Most are in storage. A massive new museum is under construction near the pyramids and is designed from the ground up to accommodate, preserve, protect, and present the collection. It will be worth another trip back to Egypt just to see the new museum when complete. And finally, one more from the museum... The Egyptian Cow God. This one is for Bob F. He knows why. 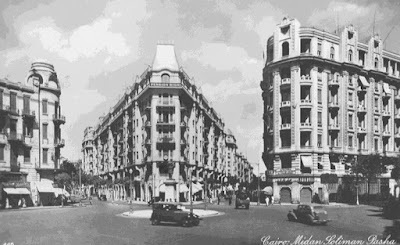 Continuing our stroll, the central roundabout of downtown Cairo still reflects the original turn of the century design of the city that named Cairo the most beautiful capital in the world. Restoration work is underway downtown to restore the area to it's previous glory. We stopped at a local eatery for lunch where we enjoyed local food and beer in a neighborhood ambiance. Final, we finish the day at the Citadel of Saladin and Mohamet Ali Mosque. Too much history to pretend to do it justice here, so how about a few more pics? I think we overdid for the first day. Too much touring. Too much blogging. We cannot maintain this pace. I will at least endeavor to reel in the blog posts before the next entry.